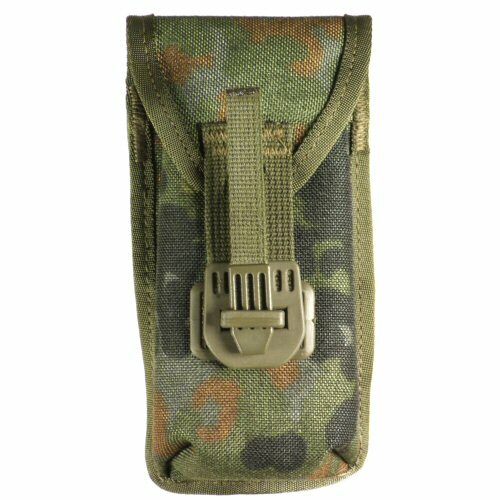 Flecktarn field dressing and accessory pouch is designed to fit in with the German webbing system and offer a dedicated package for small field essential items. 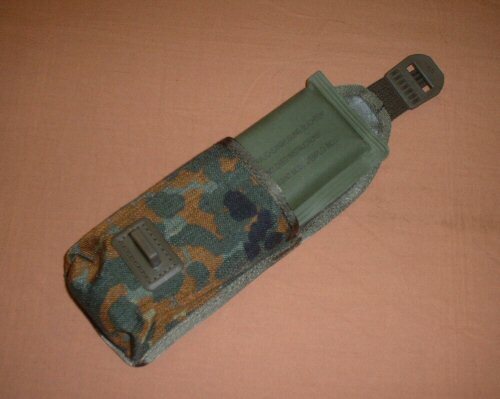 Shown in the picture with a German issue field dressing (not included with pouch), the pouch is slimline so as to fit either on the belt or over the shoulder. 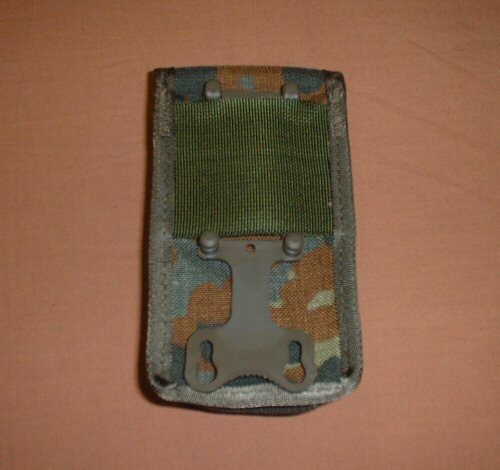 Adapter plate for the German LKS webbing system included. Pouch opens with Spanish type quick opener as found on the German issue magazine pouches. Can be made to fit similar small items such as mobile phone and compass. Made of 1000D texturised Cordura, internally PU coated and externally IRR coated. View of pouch with German field dressing partially inserted.